Monel 400 is a nickel-copper alloy resistant to seawater and steam at high temperatures and widely used in the chemical, oil and marine industries. As a solution strengthened material, it displays good strength, toughness and corrosion resistance at temperatures up to 400°C. 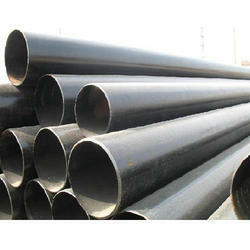 We are offering Monel Alloy 400 Pipes to our client. We are stockist and suppliers of Monel Pipes Products. We offer a wide range of monel pipes that are made of qualitative raw material procured from reliable vendors. Known for its high quality, durability and high utility , these monel pipes are widely used in various industries across the globe. Monel 400 (UNS No. N04400), Monel 500 (UNS No. N05500).